WhatsApp is getting more popular day by day. Easy to use, fast chatting, simple group chatting, mobile number based connectivity, voice message, voice call are the main features of the WhatsApp messenger. So everyone is trying to be a member of WhatsApp using their mobile phone. WhatsApp is more combatable to smart android, iPhone and Lumia users. But WhatsApp can run on other type of mobile phones. I already wrote about running WhatsApp on computer and how to run WhatsApp on Java phones. Today I am going to explain a little about running WhatsApp on Symbian phones. Symbian was the one of the popular OS platform mainly running on Nokia phones also some other phones. Nowadays none of mobile companies does not use Symbian OS as their main platform. But still thousands of users are using those OS around the world. Now let us see how to run WhatsApp on Symbian phones. Unfortunately all Symbian phones do not support WhatsApp. Official site of WhatsApp shows a list of supported Symbian devices. WhatsApp for some of Symbian s60v1, s60v2, s60v3, s60v4, s60v5 are available. How to know my phone support WhatsApp? You may download WhatsApp even your phone model is not listed above. So you should download and install the WhatsApp on your phone. And try to run it. 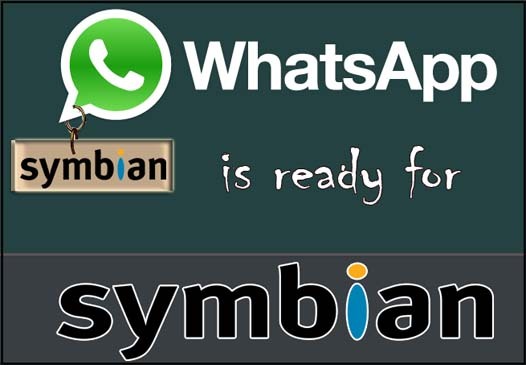 How to get download WhatsApp for Symbian phones? WhatsApp official site provide direct WhatsApp download link for Symbian phones. No more external links are needed. You may download it from computer also, then copy to your phone and install. I wish you a success working. Still WhatsApp can run on s40 java phones. See more here. Now Microsoft bought the company Nokia, then their new phone models are named with Lumia. So Microsoft app store provide Whatsapp for their new Lumia phones and also other models.